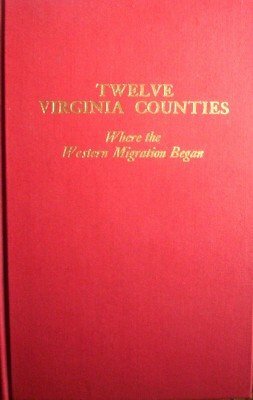 Twelve Virginia Counties by Gwathmey, John H.
Red cloth boards with gilt titles. Pages are tight, crisp and clean. Book appears un-read and could be given as a gift. Small light stain on right edge. 469 indexed pages. No DJ. 469 pages. HardCover Binding. Year: 1997. ISBN: 0806308613. This is a scholarly and informative account of the origin and settlement of the counties of Albemarle, Augusta, Caroline, Essex, Gloucester, Goochland, Hanover, King William, King and Queen, Louisa, New Kent, and Orange, and of the people and events associated with their history.